Alcohol is without a doubt the most widely-used legal drug anywhere in the world. In fact, statistics in 2014 showed that almost 88% of people in the United States aged 18 and above admitted that they have drunk alcohol at some point in their lives. Drinking alcohol is mostly associated with celebration, having fun, or even “a cure” for loneliness, which is probably why very few people regard the same as a drug that can cause adverse side effects when abused. It is not surprising, therefore, that 16.3 million individuals aged 18 and above have been found to suffer from some form of alcohol use disorder (alcohol abuse and dependency) in the US alone. While there are countless addiction treatment centers where alcohol abusers can seek treatment, it is unfortunate that majority of them tend to delay help until they start experiencing the long-term effects of alcohol abuse. Decline in cognitive functioning and brain disorder. Studies conducted on long-term alcohol users showed that such people experience a significant decline in cognitive or intellectual functioning and reduced brain size. Alcohol abusers tend to start having difficulty thinking in an abstract manner. Their visuospatial abilities are highly compromised as well, which means they have a hard time perceiving and recalling the location of objects in two and three-dimensional space. Moreover, since chronic alcohol abusers suffer from thiamine deficiency they are more susceptible to the development of serious brain defects such as Wernicke-Korsakoff Syndrome (WKS). People suffering from WKS may experience confusion, weakened muscle coordination, memory loss, and decreased the ability to learn, among others. 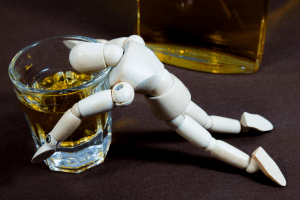 Alcoholics who refuse to seek professional help from reputable alcohol and drug rehab facility may find themselves suffering from alcoholic liver cirrhosis. The American Liver Foundation reported that the chance of heavy drinkers developing cirrhosis is up to 20%. Cirrhosis of the liver can lead to even more serious complications such as fluid buildup in the stomach or ascites, internal bleeding, and severe liver damage that can only be remedied by a liver transplant. Alcohol abusers are most likely to develop alcohol-related pancreatitis wherein the pancreas is seriously damaged. Pancreatitis can lead to complication such as pseudocysts, internal bleeding, compromised lung functions, and even hypovolemic shock, among others. Heavy alcohol drinkers tend to fail in eating a balanced diet consisting of various foods that are packed with essential nutrients needed by the body to become healthy since they are more preoccupied with drinking. The alcohol content in their system also hinders the absorption of these nutrients should they consume good food. Naturally, both these cases will lead to malnutrition. Several medical studies showed the positive correlation between excessive alcohol intake and certain types of cancers, such as head, and neck, liver, breast, esophageal, and colorectal cancers. All the adverse effects of alcohol abuse discussed above can be best prevented by self-regulating or limiting one’s alcohol intake and frequency. However, for people who are already seriously dependent on alcohol and can no longer control their alcohol intake on their own, there is no another way but to immediately seek professional aid from addiction treatment centers. A credible rehabilitation facility can significantly help an alcoholic in detoxifying and learning essential life skills to better cope with life’s challenges rather than depending on alcohol, among others. Furthermore, numerous studies support the findings that intellectual impairment from alcohol abuse, pancreatitis, and malnutrition can be dramatically reversed once the patient abstains from drinking alcohol.